Halve artichokes lengthwise. Remove and discard center petals and fizzy center; set artichokes aside. Cook pasta until done but slightly firm, rinse and set aside. In a medium bowl, whisk together dressing ingredients. In a large bowl combine pasta, cucumber, carrots, radishes, green onions, and snow peas. Toss noodle mixture with HALF of the dressing; reserve the remaining half. Arrange two artichoke halves on each plate. Spoon noodles into halves. 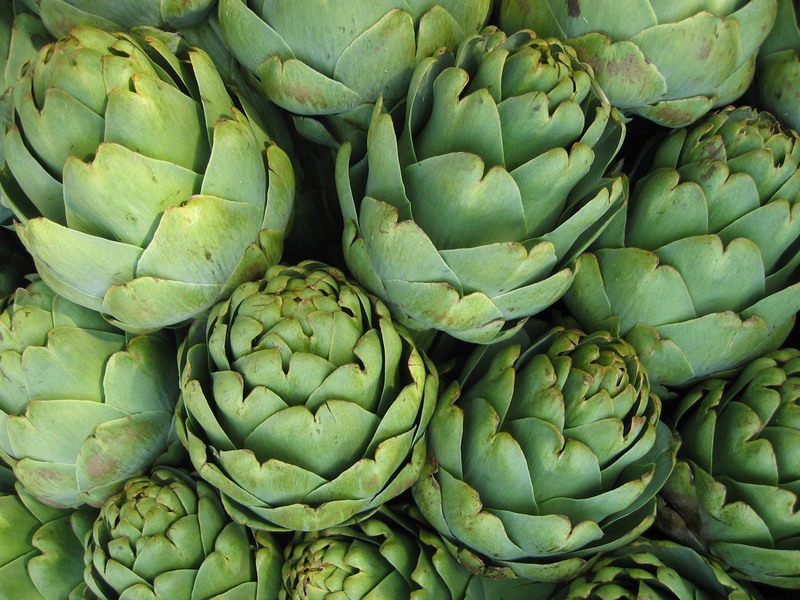 Use reserve dressing as dip for artichoke leaves. Serve immediately. Nutrition Information: 335 Calories; 12g Protein; 60g Carbohydrates; 7g Fat; 19% Calories from fat; 3% Calories from saturated fat; 352mg Sodium; 0mg Cholesterol; 7g Dietary fiber.